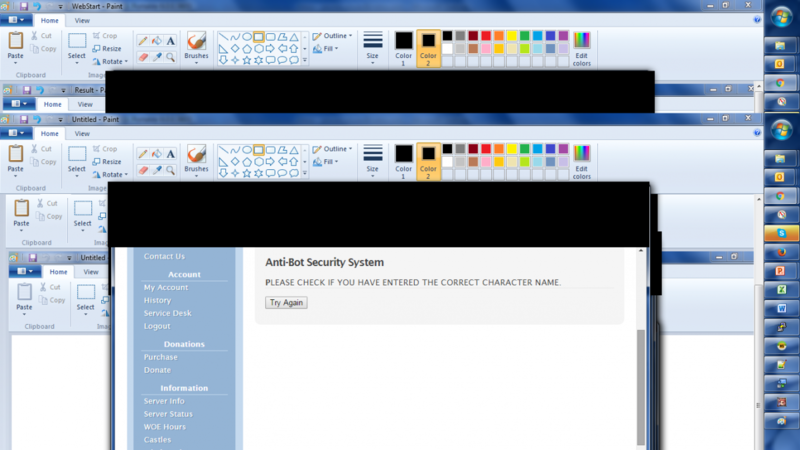 Finally, I have finished my very first Project: Anti-bot Security System. 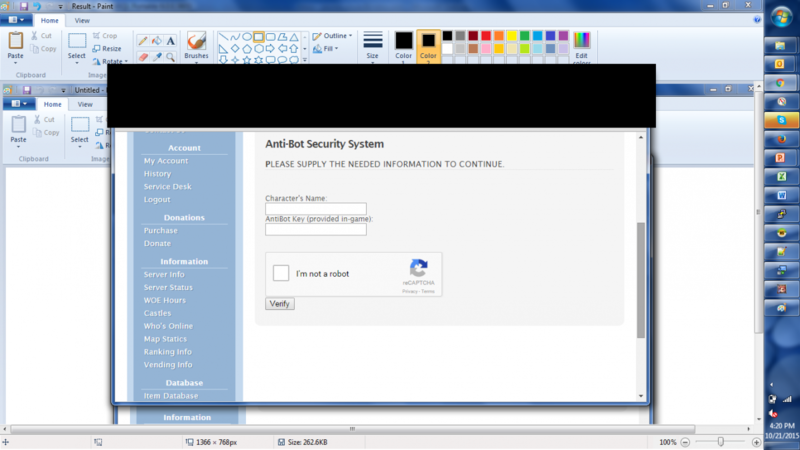 This is not your average antibot because it is not only done in-game, it is a system that puts together in-game scripts, encryption, Google's very own reCaptcha, and interaction with the FluxCP. Tested fully compatible with Hercules. 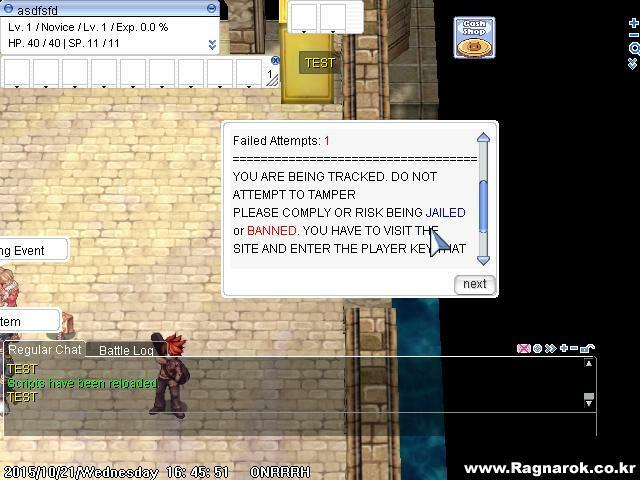 So it's like, in game npc prompts you to go to web, web will give you code, and you enter it ingame? Definately, I would stop playing if that's happening, its frustating to open web browser and do several steps to just play. 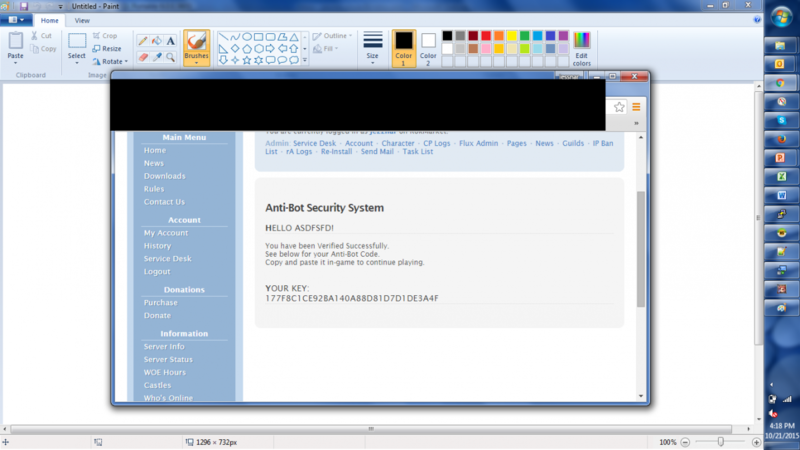 Indeed, any antibot method that requires that lot of interaction is frustrating, and by the way I'm guessing that this is only done on login, right? 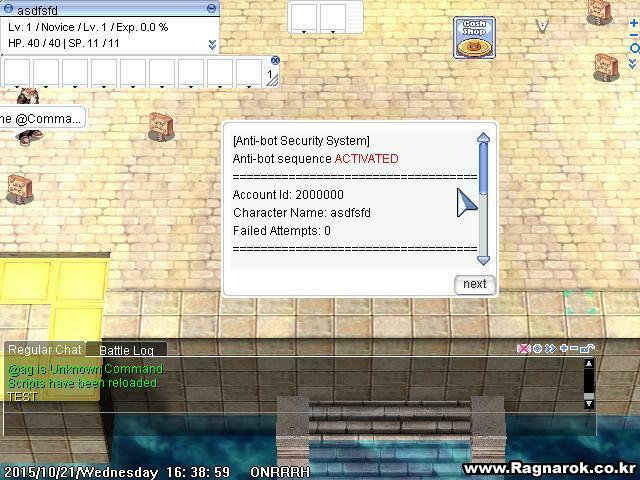 so what stops the player from doing everything manual and then running the bot after passing the check? 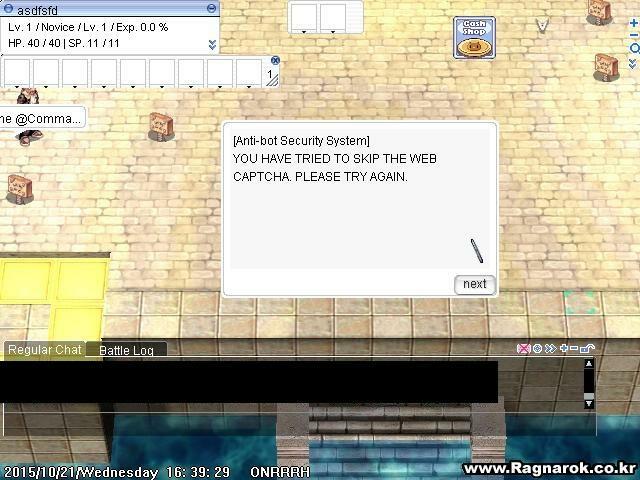 Well, it's a floating script/npc. And Yes that's about it. It's not really frustrating, there's always an option to reward people in-game or give them votepoints or whatever it is that can give them a good feeling for complying. 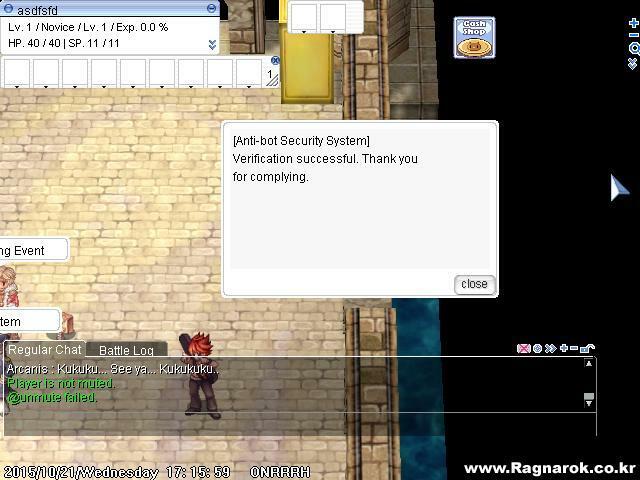 The bot check happens the moment you login then next bot check is done after x amount time that is configurable within the script, then the same amount of time for consecutive successful verification. 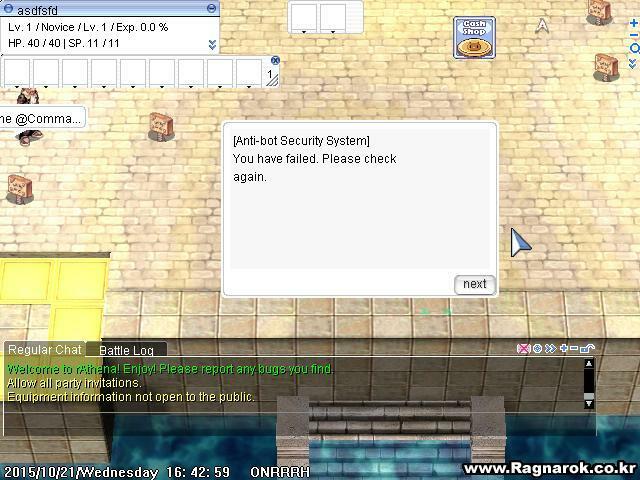 So if you logout, you're gonna have to do go over it again. Looks fresh, but I'm not sure if I could get used to it as a player. 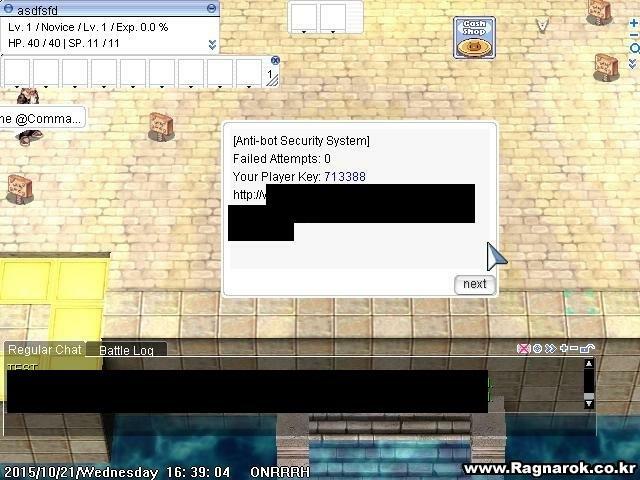 If this would appear too frequent - it would be annoying, but if only 1 check on whole session - bot owner could just enter code and use bot after that. Point taken. Then for now configuring a considerable triggering time is what's needed. Should just ask randomly throughout the playing session, maybe only once or twice. Once within 10-30 minutes after login then after passing wait 15 minutes, then randomly through a timeframe.